Viknesh Vijayenthiran March 13, 2014 Comment Now! Four years after the first Ferrari theme park, Ferrari World Abu Dhabi, opened its doors to the public, the second has been announced, this time for the Spanish city of Barcelona. 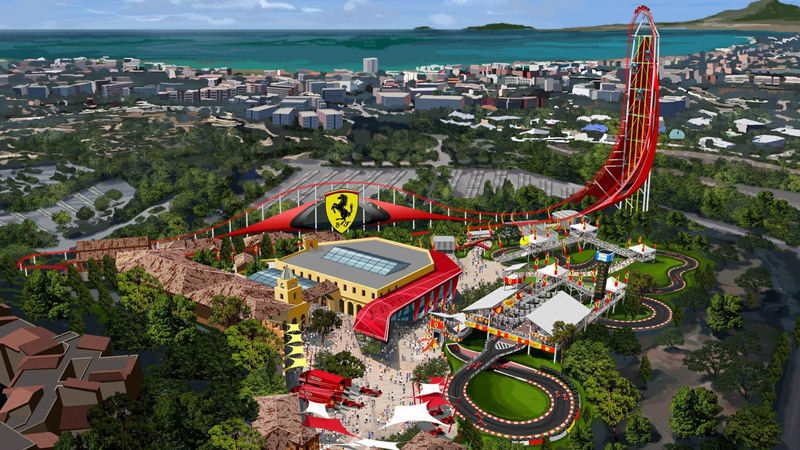 The new theme park, to be called Ferrari Land, will be located inside the existing PortAventura resort which already houses a theme park and attracts around four million visitors per year. As with Ferrari World Abu Dhabi, Ferrari the automaker isn’t involved directly with the new theme park but simply provides a license for the use of its name and logo. Backing the project is PortAventura Entertainment, a subsidiary of Italian private equity group Investindustrial, which recently bought a stake in Aston Martin. 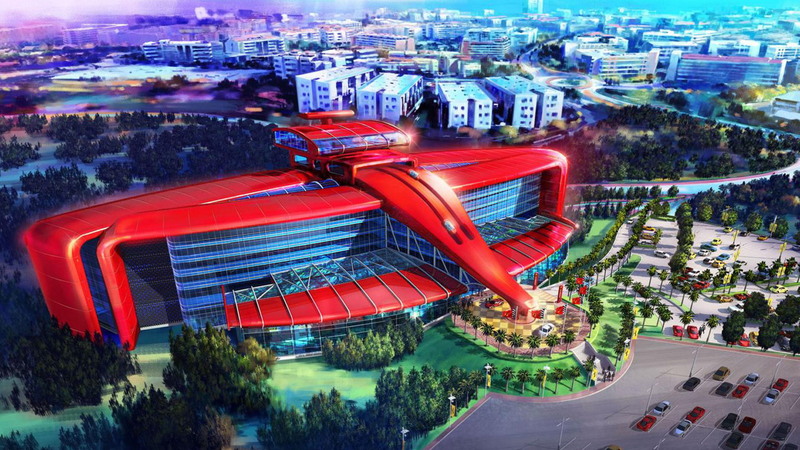 The Ferrari Land theme park will cover more than 800,000 square feet and feature a number of exciting rides and retail outlets. One of the highlights will be a new vertical accelerator destined to be the tallest and fastest in Europe. 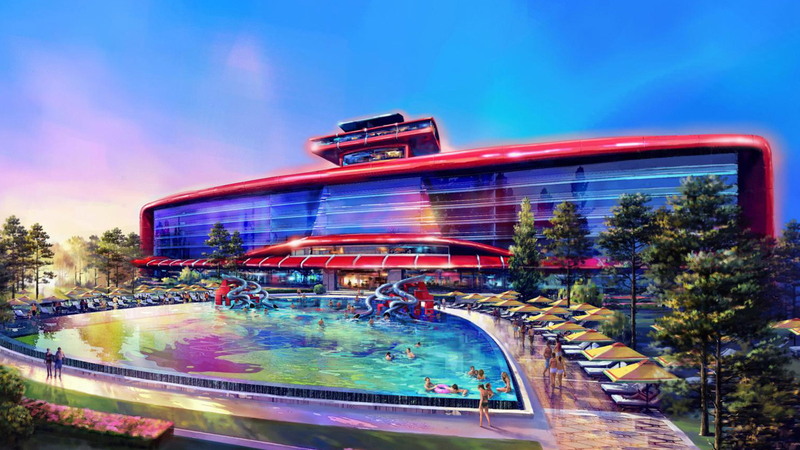 The resort will also contain the first Ferrari-themed hotel, which is said to be a five-star facility with 250 rooms, restaurants and a driving simulator. The cost of building the theme park is estimated to be about $140 million and the organizers hope to have it ready for guests in 2016. “After the success of Ferrari World in Abu Dhabi, we received many, many requests to develop new amusement parks,” Andrea Perrone, head of Ferrari’s branding operations, said in a statement. “We carefully sifted through the various proposals and decided to accept Investindustrial’s because it is a very solid plan developed by competent people that will bring the magic of Ferrari to Spain, a nation where we have many supporters and enthusiasts, and to which large numbers of tourists flock each year, in part thanks to PortAventura.